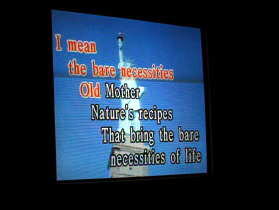 Karaoke is a Japanese word and the literal meaning is empty orchestra. Originally "karaoke" was a professional slang among bandmen. from what it is in the US. or other countries. 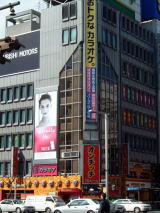 Most people who do karaoke in Japan go to special karaoke houses with their friends. a table for drinks, and a karaoke machine. Some karaoke houses also include free drinks in the room price. by watching a live broadcast on a digital screen. Disliked person at a karaoke room. 3 Someone who reserve songs for the second time or more in a row. 9 Someone who make a lot of noise: jumping(?) etc.